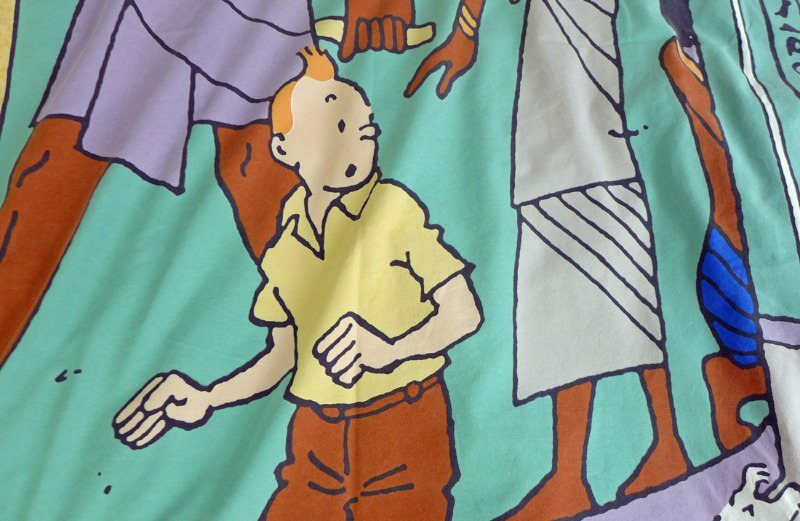 This Tintin duvet set is one of the earlier ones and shows a scene from Herge's book, Tintin and the Cigars of the Pharaohs. 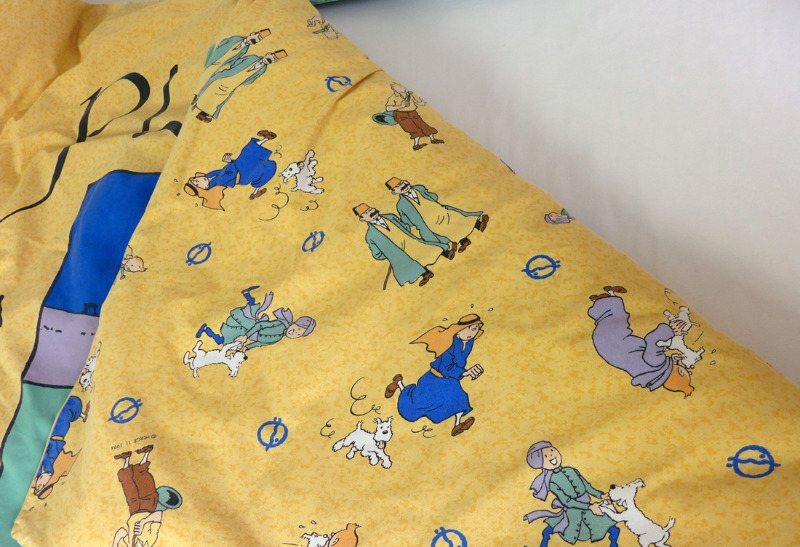 These duvet covers all feature the original Herge drawings and characters and this one dates from 1994 and there is a Herge copyright with the date mark on the duvet. The duvet cover has a scene from the story on the front with hieroglyphics and other symbols down the side. The reverse shows Tintin, Snowy and the Thompson Brothers on yellow cotton. All of the panels are beautifully drawn and the printing is clear. This duuvet cover is in good condition with crisp cotton and bright colours. I found a couple of tiny wear marks and a mark on the fabric around the bird on the hieroglyphs - see the pictures below. The duvet cover follows the French tradition of being open at the end with a long tail of fabric that tucks under the mattress to keep the duvet in place - genius! There are no pillow cases with this duvet but there is matching fabric available in the shop so you could easily make a couple up to finish it off.